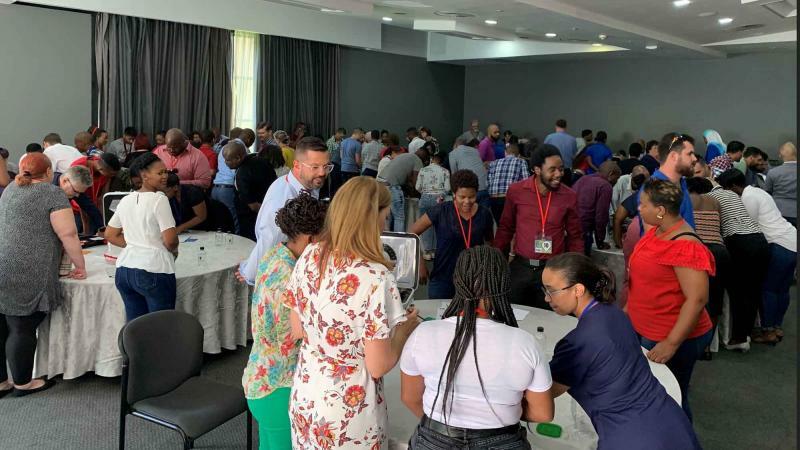 Leading digital connectivity company in South Africa were looking for a kick-off event that would remind their team (with many new members) that collaboration, out-of-the-box thinking and focus are key to their continued business success. Dream Team Catalyst, Catalyst Team Building representatives in South Africa made sure that the whole was greater than the sum of the parts by combining 2 of Catalyst's most popular and powerful programs to produce a powerful and effective event that met client objectives, exceeding expectations. To create more complexity with the already challenging Beat The Box activity, Dream Team Catalyst included a series of additional problem solving tasks. Prior to the event, the tasks were inputted into Catalyst's team building technology platform, Go Team which was then installed onto iPads. 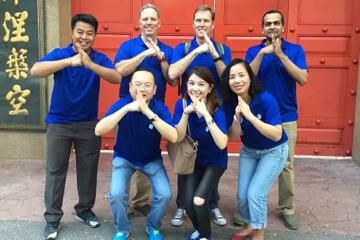 On the day, the group was divided into 10 teams, with each team receiving an iPad and a Beat the Box, box. Teams faced with two seemingly different activities at once had to manage team dynamics and allocate team members appropriately. The teams each split into two sub-teams with one working to Beat the Box and the other answer the Go Team challenges. The two seemingly separate projects were actually designed to be dependent on each other with the end goal of stopping the countdown timer before the time elapsed. 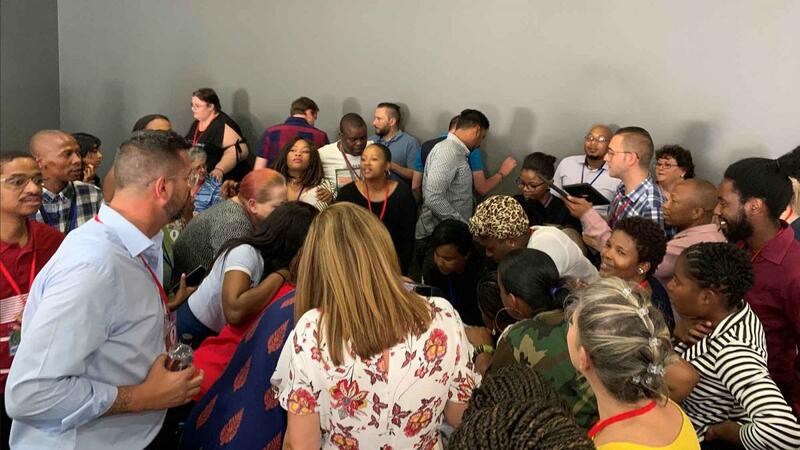 The energy in the room was electric as teams battled to make sense of the chaos, knowledge gaps and complexity of the task at hand. 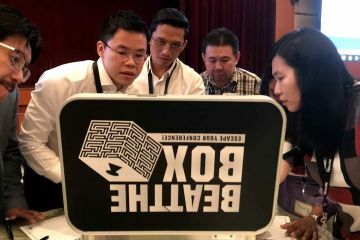 As each of the sub teams solved problems and discovered information, efficient knowledge sharing was called on to communicate with their partner sub-team. Gradually the task became a little easier but with the clock ticking down the pressure was palpable! In a eureka moment, the 10 teams realised that they shared the same goal and that collaboration wasn’t just desirable but essential. The teams came together to solve the final conundrum. As a result of collaboration between the teams, the problem was solved and the countdown clock was stopped with less than 2 minutes to spare! The room filled with thunderous applause, fist-pumping, high-fives and back-slapping. Mission accomplished! The participants were fully engaged and felt bonded through shared experience. 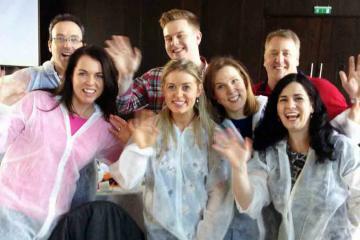 The client achieved their aim of reinforcing the importance of collaboration, out-of-the-box thinking and focus in a fun, memorable way!